St. James Plantation is a special waterfront community minutes from the Atlantic Ocean in North Carolina. St. James Plantation in Southport, North Carolina offers residents of all ages a wide range of price points and home styles in a beautiful, coastal location. A mild climate, marina, private beach and 81 holes of golf make St. James Plantation an ideal east coast retirement destination community. This Wilmington area, resort-style community is laced with Southern charm. Throughout this sprawling community of 5,000 homes are four smaller individual neighborhoods and four amazing clubhouses. Residents are free to use any of the community amenities and are encouraged to enjoy the many different clubs and activities. The Founders Club looks out over sparkling lakes and ponds. It features a clubhouse, resort-style swimming pool, six Har-Tru tennis courts and an 18-hole championship golf course. The Members Club offers 27 holes of golf plus a pro shop, a bar and grille, two Har-Tru tennis courts, fitness center, steam room/sauna and indoor pool. 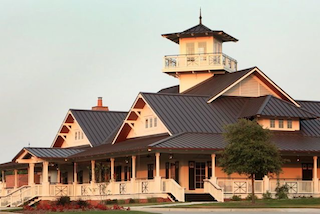 The Reserve Club opened in 2006 with another 18 holes of golf and The Reserve Club Grille. The Players Club is home to another 18-hole golf course, restaurant, two Har-Tru tennis courts, fitness center, resort-style pool and fishing deck. Residents at St. James Plantation enjoy access to four clubhouses brimming with amenities. St. James by the Sea is a private beach for residents, complete with gazebo, picnic area, swimming pool, showers and private parking. 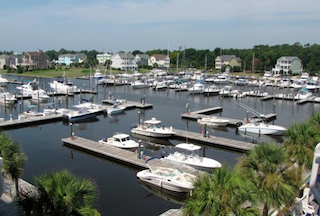 St. James Plantation also features a marina and marketplace with shopping, dining and more than 150 boat slips and 100 dry stacks, plus fishing and kayaking. The Woodlands Park Amphitheater is another unique attraction offering live music, a pavilion for parties and a gorgeous reflection garden. Residents enjoy an exciting social lifestyle with more than 30 clubs catering to special interests. Some of the clubs highlight wine dinners, yoga and pilates classes, boating club, St. James Bikers, quilters, walking club, bridge club and so many more. If you can think of it, there's probably a club for it. If not, it won't be hard to find like-minded people to join one that you help create! With ground broken in 1991 and development continuing today, St. James Plantation is a well-planned community with homes in every price range. Designed for 5,000 homes spread through four community neighborhoods, today's buyers can select from several different builders offering new construction homes as well as resale options with home styles including condominiums and single-family homes. While St. James Plantation offers plenty of reasons to stay put, the Wilmington area is a huge draw. Southport itself is a historic fishing town with art, architecture and a host of restaurants. Just 30 minutes away by car, Wilmington is filled with nightlife, shopping and museums. Myrtle Beach, S.C., is only 45 minutes away and the nearby Atlantic Ocean breezes bring comfort year-round. Whether your housing dreams are big or small, and no matter what your plans for an active adult lifestyle, you're sure to find just what you're looking for at St. James Plantation.